Yū is the class representative, or "Iinchō", as he is known by the majority of the class. He has the Alice of Illusion. During the Alice Festival, his illusions were a major hit in the Haunted House attraction of the Latent Ability Class. As stated by Mikan, Natsume, and Ruka, he is a force to be reckoned with. He has his hands full with taking care of Mikan and does not seem to get tired of it. According to the author, he fell in love with Mikan at first sight. Mikan's mother steals his Alice in the manga causing Mikan, Natsume, Ruka, and Tsubasa to chase after them to get it back. 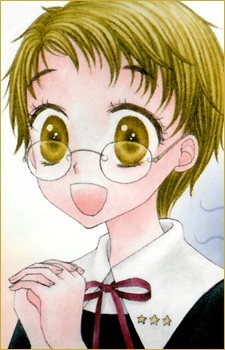 Although, they were mainly after a cure for Hotaru. When Mikan and the others returned, they did not have Iinchō's Alice, but he regains it when Narumi brings it to him. He is in the Latent Ability Class. He is currently a Triple Star.